Each child has a travelling tablet that suits their needs and size. They also each have their own selection of apps, that keeps them entertained and usually contains some educational content to keep me happy. 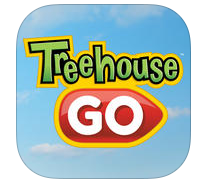 Just in time for our summer family travel adventure Treehouse has launched its TreehouseGO app for mobile devices and tablets. The beauty of this app is that Beckett can watch Treehouse shows anytime & anywhere without an internet connection. 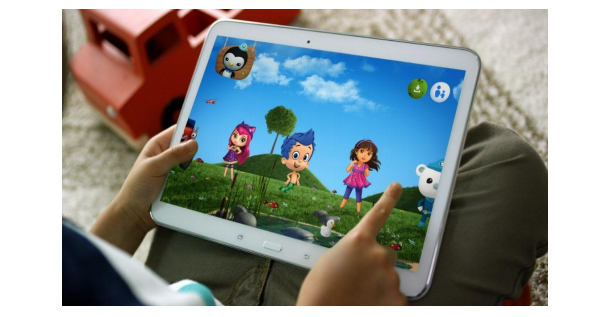 TreehouseGO gives Beckett on-the-go access in a safe and educational environment that I trust. Our experience with TreehouseGO app has been nothing but positive. Beckett has found the app easy to navigate, he has been able to find all of his favourite shows including Dora and Friends, Little Charmers, Octonauts, Toopy & Binoo, Bubble Guppies and Mike the Knight. 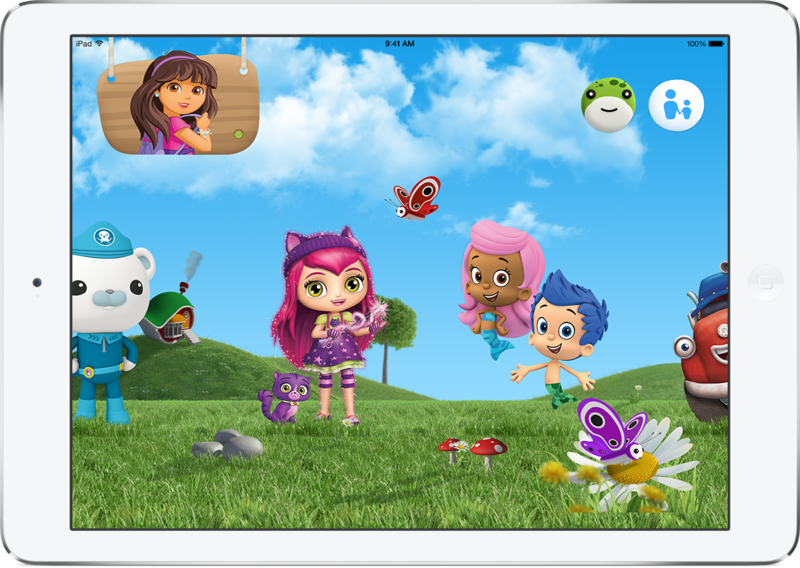 I also like that the app, free to Treehouse TV subscribers, will be continually updated with the most popular and current Treehouse series. There will be little chance of me hearing, “Mommy, I am BORED” on our long drive with this app. The TreehouseGO app features full -length episodes on demand and you can watch the channel live as it airs by clicking on the Live TV icon. Our favourite option is the offline “My Backpack” download to go option. By filling Beckett’s “Backpack” before we embark on our journey, I save an data & internet roaming charges. You can visit the the TreehouseGo site for more information. 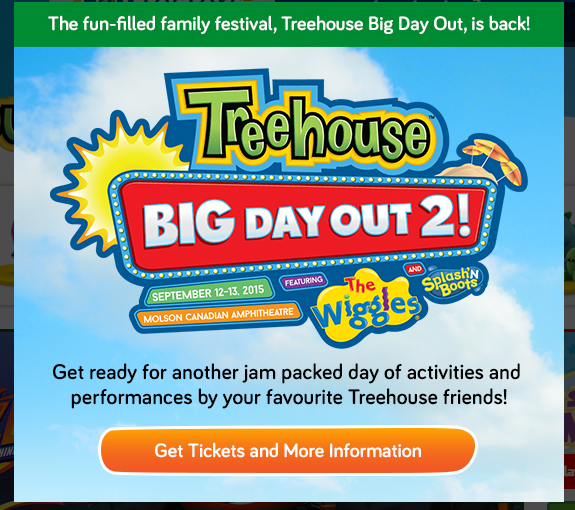 Upon downloading and opening the TreehouseGO app, users will be able to submit their email to receive special promotions such as a discount code for tickets to Treehouse Big Day Out, the two day family festival taking place in Toronto on Saturday, September 12 and Sunday, September 13. One other small characteristics of the TreehouseGo app that we appreciate is the closed captioning option. As Beckett is still learning his blends and increasing his reading fluency we keep the closed captioning on. This gives Beckett the opportunity to read the words as he hears them which will contribute to his acquisition of basic literacy skills. This is the first app is a suite of apps created by Corus. If this is any indication of the high quality apps offered by Corus, we will be repeat customers!